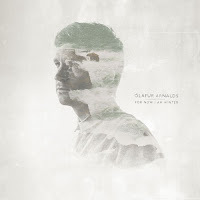 I admit, I only own one other record by Icelandic pianist, Olafur Arnalds. And that really is just a duet ep with Nils Frahm. But with his latest release, For Now I Am Winter, I am officially hooked! There's a peaceful and ethereal element that flows from Arnalds music. Built both on atmospherics and classical traditions, ...Winter feels like a combination of William Orbit's experiments (circa Pieces Of A Dream), Max Richter and Harold Budd. 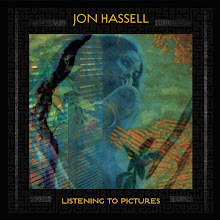 But this album has a pleasant sense of awakening, amongst its subdued settings. Opening with two contrasting pieces, the dark yet softly touching, "Sudden Throw," with swathes of clam keyboard lines augmented to simply and gentle piano melodies and quickly transitioning into the violin movements and electronics of "Brim" which are harsh and beautiful like Aphex Twin. These two pieces exude the texture of the session and invites the listener on a magical ride. "Old Skin" features a more populous approach. Arnor Dan's vocals are passionate and provide a folkish feel against a chamber backdrop of Arnalds notes and string instruments. "This Place Was A Shelter," with its crunching electronics lines pushing against the solemn strings is the cinematic moment of the album for me. While short, it does leave a strong impression and features wide facets of Arnalds compositional skills packed into a brief four minutes. A wonderful and reflective outing from this young musician and composer, For Now I Am Winter is solid piece of work. Olafur Arnalds has been gaining more notoriety in the last few years, but here's to hoping that For Now I Am Winter is the breakthrough he richly deserves. A magnificent record.